Hydrogen is the simplest element on Earth and also the most plentiful gas in the universe Energy Information Administration (EIA) - Energy Kids - Hydrogen Basics - http://www.eia.gov/kids/energy.cfm?page=hydrogen_home-basics . Each atom of hydrogen has only one proton. Despite its simplicity and abundance, hydrogen does not occur naturally on Earth. It is always found in combination with other elements National Renewable Energy Laboratory (NREL) - Hydrogen Basics - 2014 -http://www.nrel.gov/learning/eds_hydrogen.html National Renewable Energy Laboratory (NREL) - Hydrogen Basics - 2014 -http://www.nrel.gov/learning/eds_hydrogen.html National Renewable Energy Laboratory (NREL) - Hydrogen Basics - 2014 -http://www.nrel.gov/learning/eds_hydrogen.html National Renewable Energy Laboratory (NREL) - Hydrogen Basics - 2014 -http://www.nrel.gov/learning/eds_hydrogen.html . Water, for example, is a combination of hydrogen and oxygen. Hydrogen is also found in many organic compounds, notably the "hydrocarbons" that make up fuels such as gasoline, natural gas, methanol, and propane. Getting hydrogen in its pure form is a challenge. Hydrogen can be produced in large, central facilities (50–300 miles from point of use), smaller semi-central (located within 25–100 miles of use) and distributed (near or at point of use) American History - Fuel Cells - http://americanhistory.si.edu/fuelcells/basics.htm American History - Fuel Cells - http://americanhistory.si.edu/fuelcells/basics.htm American History - Fuel Cells - http://americanhistory.si.edu/fuelcells/basics.htm . The two most common methods used to produce hydrogen are steam reforming and electrolysis (water splitting) Energy Information Administration (EIA) - Energy Kids - Hydrogen Basics - http://www.eia.gov/kids/energy.cfm?page=hydrogen_home-basics Energy Information Administration (EIA) - Energy Kids - Hydrogen Basics - http://www.eia.gov/kids/energy.cfm?page=hydrogen_home-basics Energy Information Administration (EIA) - Energy Kids - Hydrogen Basics - http://www.eia.gov/kids/energy.cfm?page=hydrogen_home-basics . Steam reforming: a high-temperature process in which steam reacts with a hydrocarbon fuel to produce hydrogen. Many hydrocarbon fuels can be reformed to produce hydrogen, including natural gas, diesel, renewable liquid fuels, gasified coal, or gasified biomass. Today, about 95% of all hydrogen is produced from steam reforming of natural gas. Electrolysis: a process that splits hydrogen from water using an electric current. Electrolysis does not produce any emissions other than hydrogen and oxygen. However, if the electricity used in the process is produced from fossil fuels, then there are pollution and carbon dioxide emissions indirectly associated with electrolysis. However, the electricity used in electrolysis can also come from renewable sources like wind and solar. Other: Research is also underway to develop other methods used to produce hydrogen. These methods include using microbes that use light to make hydrogen, converting biomass into liquids and separating the hydrogen, and using solar energy technologies to split hydrogen from water molecules. Hydrogen is an energy carrier, not an energy source. It is an efficient way to store and transport energy. For this reason, hydrogen has a unique and often times little-understood role in the global energy system. Hydrogen is commonly used to process crude oil into refined fuels, such as gasoline and diesel, and for removing contaminants, such as sulphur, from these fuels. 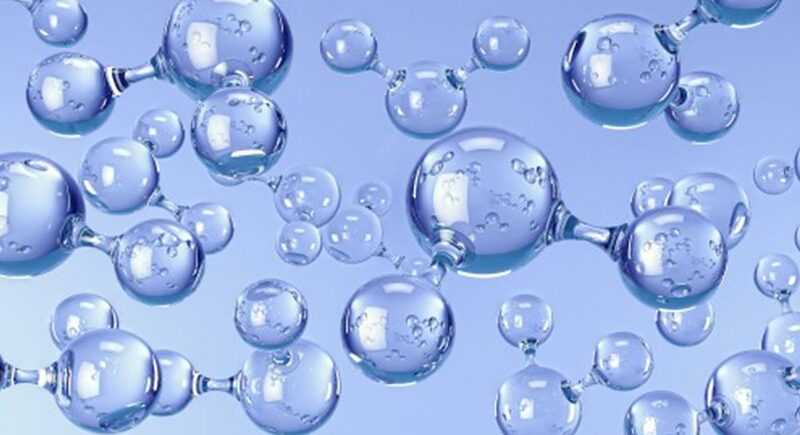 Hydrogen is also used in a range of other industries, including chemical production, metal refining, food processing and electronics manufacturing XEBEC - Industrial Hydrogen Application - 2015http://www.xebecinc.com/applications-industrial-hydrogen.php XEBEC - Industrial Hydrogen Application - 2015http://www.xebecinc.com/applications-industrial-hydrogen.php XEBEC - Industrial Hydrogen Application - 2015http://www.xebecinc.com/applications-industrial-hydrogen.php . Hydrogen can also be used for electricity production through a fuel cell Office of Energy Efficiency & Renewable Energy - Fuel Cells - 2015 -http://energy.gov/eere/fuelcells/fuel-cells Office of Energy Efficiency & Renewable Energy - Fuel Cells - 2015 -http://energy.gov/eere/fuelcells/fuel-cells Office of Energy Efficiency & Renewable Energy - Fuel Cells - 2015 -http://energy.gov/eere/fuelcells/fuel-cells . A fuel cell is an electrochemical cell, which produces electricity by converting chemical energy into electrical energy Office of Energy Efficiency & Renewable Energy - Fuel Cell Animation - 2015 -http://energy.gov/eere/fuelcells/fuel-cell-animation Office of Energy Efficiency & Renewable Energy - Fuel Cell Animation - 2015 -http://energy.gov/eere/fuelcells/fuel-cell-animation Office of Energy Efficiency & Renewable Energy - Fuel Cell Animation - 2015 -http://energy.gov/eere/fuelcells/fuel-cell-animation . When hydrogen is combined with oxygen in a fuel cell, it produces heat and electricity, with only water vapor as a by-product. Fuel cells are unique in terms of the variety of their potential applications; they can provide energy for systems as large as a utility power station and as small as a laptop computer. Fuel cells can provide electric motor transportation for vehicles and provide power in stationary and portable power applications. Fuel cells have no emissions at the point of operation. The most significant advantage of hydrogen is that it is an efficient energy carrier. Hydrogen fuel is very efficient, about three times more efficient than gasoline. However, the ultimate challenge with hydrogen is getting it in its pure form BUZZLE - Fuel Cells Pros and Cons - 2015http://www.buzzle.com/articles/fuel-cells-pros-and-cons.html BUZZLE - Fuel Cells Pros and Cons - 2015http://www.buzzle.com/articles/fuel-cells-pros-and-cons.html BUZZLE - Fuel Cells Pros and Cons - 2015http://www.buzzle.com/articles/fuel-cells-pros-and-cons.html . While some of its applications appear attractive for environmental and efficiency reasons, deriving hydrogen requires energy that can result in greenhouse gas emissions and air pollutants that lessen the overall environmental benefits of the technology. In addition, cost and practicality such as lack of support infrastructure and storage of the highly explosive element are major concerns. Last weekend the streets of Detroit were transformed. Filled with the unmistakable purr of little high-efficiency engines all competing in the Shell Eco-Marathon. A fuel cell is a device that generates electricity by a chemical reaction.